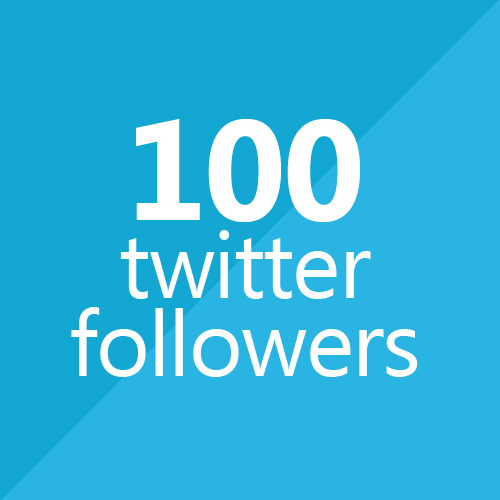 If you need REAL Twitter followers for your account, then this service is perfect for you. Only Real people with active accounts will follow your profile. No bots, no software and no fake accounts! No ‘egg’ accounts or profiles with weird names. - Replacement is valid for new Twitter accounts (with less than 25 followers at the time of purchase) only. However, the limit of 25 followers does not apply if you have used our services before to increase the amount of followers on a new Twitter account. If you have purchased followers from other sellers before then we cannot provide any guarantee. 100 Followers is ranked 5 out of 5. Based on 1100 user reviews.